Mevius Final Fantasy (game, 2015). An episodic role-playing video game by Square Enix. Developed by Square Enix Business Division 1. Official Trailer. Mevius Final Fantasy is an episodic role-playing video game by Square Enix, developed by Square Enix Business Division 1. 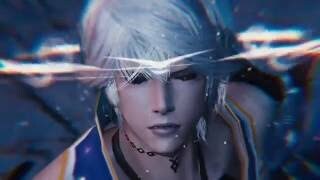 Mobius Final Fantasy - Announcement Trailer. Wol, the main protagonist, awakes stricken with amnesia in the foreign world of Palamecia. He is one of multiple "Blanks", people brought to Palamecia from other worlds and suffering from amnesia. Palamecia is under attack from the armies of "Chaos", and Wol must fulfill a prophecy in Palamecia that one of the Blanks is a "Warrior of Light" who will free the world from its darkness. Wol is aided on his journey by Princess Sarah Lotte Cornelia, the princess of a kingdom of Palamecia, and Mog, a moogle who volunteers to help in Wol's quest. Chapter 2, entitled "Prediction and Hope", includes Wol and Mog adventuring through the Ishtar desert and Rune Temple. A side quest was also included, entitled "El Dorado of the Oblivion", which is set in the ruins of "Gold Volost of El Dorado". In chapter 3, Wol is traveling to see Princess Sarah, who is waiting at her castle when she is attacked and held captive by the armies of chaos. Wol is then tasked with saving the princess and fighting against the overwhelming power of the Chaos giants. In the chapter 4 prologue, Wol and Sarah begin an adventure to find the "Rune of Earth" to keep it out of the hands of chaos, and later in chapter 4 the story continues through new lands. In chapter 5, Wol journeys to find the source of the light that may give him the strength to conquer chaos. The sixth chapter shifted focus onto a different character, the heretic sorceress Meia. 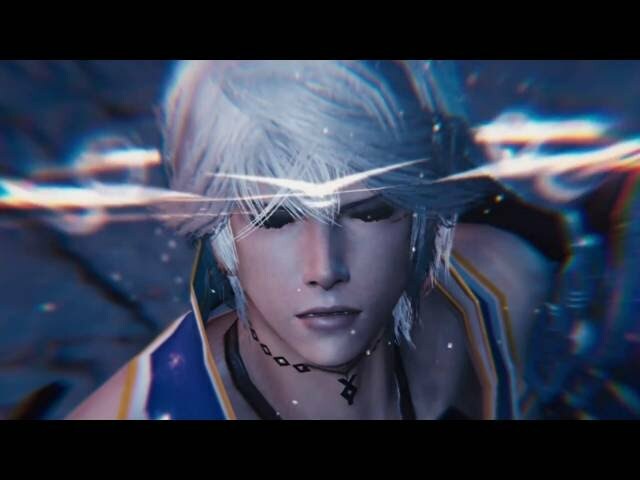 Mobius Final Fantasy is a role-playing game designed for mobile phones. The player controls the game's protagonist Warrior of Light (Wol) while navigating Palamecia. Players can customize settings, graphical quality, and adjust controls for their dominant hand. During local navigation on the field map, the player taps a location on a map and the character travels to that location. In some self-contained areas, the player can directly control the character. Along with standard navigation, the player can navigate the game world using a fast-travel system, progressively unlocked as the player progresses through the story. Many of the features in the game, such as the leveling system and exploration, are similar to those from previous home console Final Fantasy games. Mevius Final Fantasy was scheduled to be released by Square Enix on June 4, 2015, on August 3, 2016, on November 1, 2016, on February 5, 2017 and on February 6, 2017. This video game is available for the following platforms: iOS, Android, Microsoft Windows.